Susurros Del Corazón is opening in March 2021, we look forward to welcoming you. On the Pacific coast of Mexico overlooking Banderas Bay is a pristine beach surrounded by sun-kissed bluffs and lush equatorial flora. 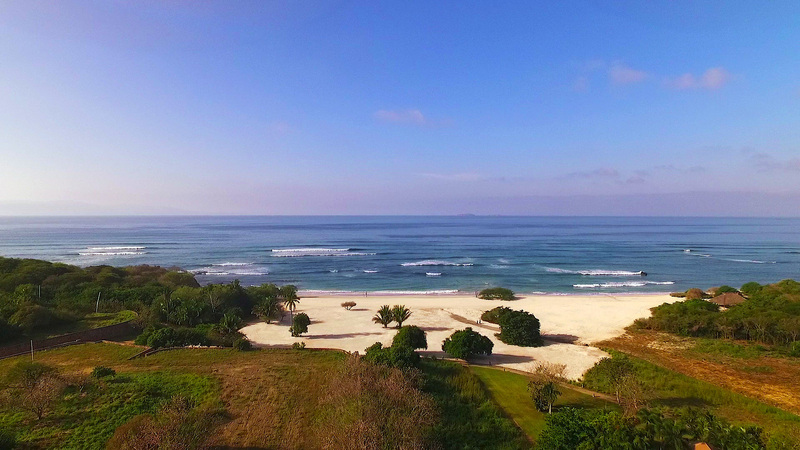 Here, an extraordinary boutique resort is taking shape: Susurros Del Corazón, a new destination from Auberge Resorts Collection, will reintroduce romance to the Punta de Mita peninsula and captivate with unscripted luxury, authentic connection, and reverence for nature. The best places are the ones we keep close to our hearts. In a nod to the boho-chic culture of under-the-radar beachside towns dotting Mexico’s coastline, Susurros Del Corazón’s “bungalow by the beach” experience will begin with a collection of indoor-outdoor spaces that bow to the inherent beauty of the land. Sparkling water and peaceful areas of untouched nature will bring you ultimate serenity. The space will be a brand new paradise for those seeking refuge in a Mexican paradise. Nestled in the jungled cliffs and mere steps from the beach are a few residential villas with stunning natural surroundings. Exquisitely crafted, each residence—ranging from three bedroom Beach Casitas to five bedroom Ocean Bluff Residences — is designed in textured harmony with the environment to provide living spaces that are organic and blur the lines between inside and out. Situated on the sparkling Riviera Nayarit, the resort will sit on a bluff fringed by tropical jungle that tumbles down to an intimate white sand beach, where warm breezes ruffle hammocks, surfers play on the horizon and perfect sunsets end each extraordinary day. Punta de Mita, situated in the Riviera Nayarit, is easily accessible with direct commercial flights from major airports throughout the U.S., Canada, Mexico and Latin America. Adjacent to the Puerto Vallarta International Airport is the Aerotron FBO, which serves private aircrafts.